ABSTRACT: The value of knowledge and deeds of the methodology of the reasoning defined such as “due to they have a common effective cause (ʿilla), the provision of principle (aṣl) is given to the branch (farʿ)” has been the subject of debate from the first period. That is, on the one hand there are some who reject the method of analogical reasoning by saying that although the authority of legislation belongs to Shāri’only, this method is to make legislation in the religion and that its value in knowledge is condemned as conjecture by the injunction (naṣṣ). They also put forward some arguments as well. However, on the other hand the majority accepts the method of reasoning as an essential and sharʿī (religious) argument. This study will not compare the opinions of those who reject qiyās and that of those who approve it. By means of religious and rational evidences this study will deal with that the method of analogical reasoning is not a rational effort simply, that the knowledge gained by it is not a conjecture criticised by the injunctions, that it is the highest ranking conjecture based on the proof, and that it is sufficient to practice in the field of law. After a general frame is drawn about qiyās, this article has been limited with the place of qiyās in the hierarchy of evidence and its value concerning knowledge and practice. This article wants to clarify the discussions related to the value of knowledge and deeds of the methodology of the reasoning. SUMMARY: The value of knowledge and deeds of the methodology of the reasoning defined such as “due to they have common effective cause, the provision of principle is given to the branch” has been the subject of debate from the first period. In spite of some Muʿtazila and Ẓāhiriya who reject the reasoning by claiming that it expresses conjecture and a deed cannot be based on conjecture, the majority of jurists (fuqahā) use the method of reasoning and see it within the hierarchy of evidence. This indicates the value of the analogical reasoning for the fuqahā. Location of the method of reasoning in the hierarchy of evidence changes according to the meaning ascribed to the concept of “evidence”. But this change does not devalue the reasoning in terms of knowledge and practice because scholars (ʿulamā’) by using the concept of evidence with a broad meaning covering conjectural knowledge have regarded the reasoning as independent evidence and have said that it is an individual principal proof separated from the first three principal proofs. On the other hand, some scholars by using the concept of evidence with narrow sense covering certain knowledge only have regarded the reasoning as independent evidence while others have counted it among the methods of inference (istinbāṭ). But both groups have approved that the reasoning expresses conjecture because the foremost factor in the reasoning is the assumption of mujtahid. Therefore, it is unavoidable that the knowledge gained by the reasoning expresses conjecture. But this conjecture is not a haphazard one. The most obvious indicator of this is that the reasoning is not independent evidence from the injunction (naṣṣ). The one, who applies analogical reasoning, does neither invent a rule, nor does he give a new judgment. He just applies the provision of principle to the branch since he sees the similarity legitimating the reasoning. The reasoning is not alternative evidence to the injunction (naṣṣ) because the reasoning (qiyās) is not accepted where the injunction is present. The conditions as well asserted on the conformity between the feature determined as an effective cause (ʿilla) and the general framework of the religion prove that qiyās is not a random reasoning. Scholars, who have regarded the value of knowledge of the judgements gained by the methods of inference (istinbāṭ) as conjecture, have not always seen the conjecture at the same level and have approved that conjectural meaning comes close to certain meaning as soon as indications increase. In this regard, they have developed even some criteria. For example, Bāqillānī has divided the value of knowledge of the judgement gained by inference (istinbāṭ) depending on whether inference has based on a specific principle or not. He, also, has indicated that the value of knowledge of inference not based on a specific principle is conjecture (ẓann) and that the value of knowledge of inference based on a specific principle is “ẓann al-ghālib” (conjecture close to certainty). Bāqillānī has stated the analogical reasoning as an example of this. In this context, jurists have considered the value of knowledge of the reasoning to be the highest degree of “ẓann” by using some terms such as of ra’y al-ghālib, ẓann al-akbar, and ẓann al-ghālib. Even in Islamic law, this ẓann, in some cases, has been included in the conception of certainty (yaqīn). For example Ali Haydar, the commentator of Majalla, has described yaqīn such as that it is to know the existence or non-existence of something with certainty or with ẓann al-ghālib. Eventually, while the probable knowledge has not been accepted as a proof in principle in Kalām theology, “ʿilm al-ghālib al-ẓann” has been accepted as a method of ijtihād in the methodology of Islamic jurisprudence. It is especially emphasized that to act by the conjectural knowledge is necessary. Then, if mujtahids were content with certain knowledge only in judicial matters, ijtihād would not be mentioned and connection of the jurisprudence with life would have been broken. Scholars have brought evidences from the Qur’ān and Sunnah of the Prophet about necessity of acting by conjectural knowledge. Scholars, alongside with the verses of the Qur’ān (al-Baqarah/230; al-Mumtahinah/60; and Yūsuf/81) have provided the case in which the Prophet adjudges through conjectural knowledge between two claimants. The Prophet said that let no one perform prayer until arriving in Banī Kurayza, and Companions of the Prophet deduced from the Prophet’s statement two different results. According to scholars, this is also evidence because the Prophet approved those who deduce different results through adjudging basing on conjectural knowledge. Thus we can say that when a mujtahid deduces different results from the same qiyās, it does not make an act based on these results problematic. Moreover, the consensus of Companions has been given as evidence in the matter of acting by conjectural knowledge. Scholars have brought many rational evidences regarding acting by conjectural knowledge. In this direction, they have compared qiyās to khabar al-wāḥid. According to them, if khabar al-wāḥid whose the value of knowledge is not certain, is sufficient for a judicial rule, the conjectural knowledge gained by qiyās is likewise sufficient for it. Scholar again have compared qiyās to that the explained word (lafẓ muavval), though has the properties of mistake and probability, requires to act and that the general word (lafẓ ʿumūm) which assigned for once is accepted as sufficient for act. Moreover, a kind of the method of “taḥqīq al-manāt” accepted unanimously shows that the conjectural knowledge is evidence. Finally, on the basis of the comments of “muhattie and musavvibe”, it can be demonstrated that to act with the conjectural knowledge gained by qiyās is necessary because according to both comments, even though there are not Shāriʿs explicit address about the rule gained by qiyās, it is accepted that there are his address by the way of signification. A mujtahid is responsible to reach this rule. Due to mujtahid reaches this result by making an effort to understand the divine will, it has the religious (sharʿī) quality as a result. For this reason, qiyās has been accepted as the fourth proof, and acting through this gained rule has been considered necessary. “Ortak bir illete sahip olmaları nedeniyle, aslın hükmünün fer‘e verilmesidir" şeklinde tanımlanan usûlî kıyasın bilgi ve amel değeri, ilk dönemden itibaren tartışma konusu olmuştur. Şöyle ki; hüküm verme yetkisi sadece Şar‘î’e ait olduğu halde usûlî kıyasın dinde hüküm verme anlamına geldiği ve bilgi değerinin de nasslarca yerilmiş zan olduğu gibi bazı argümanlar ileri sürerek usûlî kıyası reddedenler olsa da, çoğunluk tarafından usûlî kıyas aslî ve şer‘î delil olarak kabul edilmiş ve elde edilen bu hüküm ile amel edilmesi gerekli görülmüştür. Bu çalışma, usûlî kıyası kabul eden ve etmeyenlerin görüşlerini mukayese etmenin ötesinde, usûlî kıyasın salt aklî bir çaba olmadığını, kendisi ile ulaşılan bilginin naslarda yerilen zan olmayıp aksine delile dayalı zannın en üst derecesi olduğunu ve bunun da furû fıkıhta amel için yeterli olduğunu naklî ve aklî deliller ile ele alan bir çalışmadır. Kıyasla ilgili genel bir çerçeve çizildikten sonra, usûlî kıyas ve deliller hiyerarşisindeki yeri ve kıyasın bilgi ve amelî değeri ile sınırlandırılan bu makale ile usûlî kıyasın bilgi ve amel değeri konusundaki tartışmalara açıklık getirilmek istenmektedir. Ali Haydar. Dürerü’l-Hükkâm Şerhu Mecelleti’l-Ahkâm, ta’rib. Fehmi el-Hüseynî, Beyrut: Dâru’l-Cîl, 1991. Âmidî, Seyfüddin. el-İhkâm fî Usûli'l-Ahkâm. yy. 1968. Apaydın, H. Yunus. “Kıyas”, Türkiye Diyanet Vakfı İslam Ansiklopedisi, 25: 529-539. Ankara: TDV Yayınları, 2002. Apaydın, H. Yunus. “Zan”, Türkiye Diyanet Vakfı İslam Ansiklopedisi, 44: 122-124. Ankara: TDV Yayınları, 2013. Apaydın, H. Yunus. “İçtihad”, Türkiye Diyanet Vakfı İslam Ansiklopedisi, 21: 432-445. Ankara: TDV Yayınları, 2000. Bacî, Ebü’l-Velid. İhkamu’l-Fusûl fi Ahkami’l-Usûl, thk. Abdü’l-Mecid Türkî, Beyrut: Dârü’l-Ğarbı’l-İslâmî, 1995. Bâkıllânî, Ebû Bekr Muhammed. et-Takrib ve'l-İrşad: es-Sagîr, thk. Abdülhamid b. Ali Ebû Zenid, Beyrut: Müessesetü'r-Risâle, 1993. Bardakoğlu, Ali. “Delil”, Türkiye Diyanet Vakfı İslam Ansiklopedisi, 9: 138-140. Ankara: TDV Yayınları, 1994. Basrî, Ebü'l-Hüseyn. el-Mu'temed fî Usûli'l-Fıkh, thk. Muhammed Hamidullah. Dımaşk: el-Ma‘hadü’l-İlmî el-Fransî li’d-Diraseti’l-Arabiyye, 1964. Bedir, Murtaza. Sünnet, Hz. Peygamber’in Evrensel Mesajı. İstanbul: İsam yay. 2006. Buhârî, Abdülaziz. Keşfü’l-Esrar ala Usûli’l-Pezdevî. Beyrut: Daru’l-Kütübi’l-İlmiyye, 1994. Cabirî, Muhammed Abid. Arap-İslam Kültürünün Akıl Yapısı: Arap-İslam Kültüründeki Bilgi Sistemlerinin Eleştirel Bir Analizi, çev. Burhan Köroğlu, Hasan Hacak, Ekrem Demirli, İstanbul: Kitabevi, 1999. Cessâs, Ebû Bekr. el-Fusûl fi’l-Usûl, thk. Acil Casim en-Neşmi, Kuveyt: Vüzaratü’l-Evkafi ve’ş-Şuû‘ni’l-İslamiyyeti, 1994. Cuma, İdris. er-Re’y ve Eserühü fi’l- Fıkhi’l-İslâmî. Kahire: Matbaatü İsa el-Babî el-Halebî, 2006. Cüveynî, İmamü'l-Harameyn. el-Burhan fî Usûli'l-Fıkh, thk. Abdülazim ed-Dib, Devha: Câmiatu Katar, 1978. Cürcanî, Seyyid Şerif. Şerhu'l-Mevakıf, Hasan Çelebî ve Siyalkutî haşiyesi ile birlikte. Kum: İntişarat-ı Şerif er-Radi, 1907. Cürcanî, Seyyid Şerif. et-Tarifât. Mısır: Şirketü ve Matbaatü Mustafa el-Babî el-Halebî, 1938. Çaldak, Hüseyin. Kıyas'ın Mantıkta ve İslami ilimlerde Kullanım Biçimi, Cumhuriyet Üniversitesi İlahiyat Fakültesi Dergisi, 11: sy. 1 (2007): 235-262. Debûsî, Ebû Zeyd Ubeydullah. Takvîmu’l-Edille fi Usûli’l-Fıkh, thk. Halil Muhyiddin el-Meys. Beyrut: Daru’l-Kütübi’l-İlmiyye, 2001. Demir, Osman. “Yakin”, Türkiye Diyanet Yayınları, 43: 271-273. Ankara: TDV Yayınları, 2013. Duman, Soner. “er-Redd Ale’l-Mantıkıyyîn Adlı Eseri Çerçevesinde İbn Teymiyye’nin Fıkhî Kıyas ile Mantıkî Kıyas Arasındaki İlişkiye Dair Görüşleri”, Hikmet Yurdu, 3, sy. 6 (Temmuz-Aralık 2010): 193-210. Esad es-Saîdî, Abdulmelik Abdurrahman. “Mizanü’l-Usûl fi Netâicu’l-Ukûl Dirase, Tahkik ve Ta‘lik” Doktora Tezi, Ümmü’l-Kurra Üniversitesi, Mekke, 1984. Ebû Ya’la, Muhammed el-Ferra. el-Udde fî Usuli’l-Fıkh, thk. Ahmed b. Ali Seyr Mübarekî. Riyad: 1990. Ebû Zehra, Muhammed. Usûlü’l-Fıkh. Kahire: Daru’l-Fikri’l-Arabî, ts. Ebû Zehra, Muhammed. İmam Şafiî. trc. Osman Kesikoğlu, Ankara: Diyanet İşleri Başkanlığı, 1969. Gazzâlî, Ebû Hamid Muhammed. el-Mustasfâ min İlmi’l-Usûl, thk. Hamza b. Züheyr Hafız. Beyrut: Müessetü’r-Risale, 1997. Gazzâlî, Ebû Hamid Muhammed. Şifâû’l-Ğalîl. Beyrut: 1999. Hamd b. Hamdi, Saîdi. Muvazene beyne Delaleti'n-Nas ve'l-Kıyasi'l-Usûl ve Eseru zalike ale’l-Furû’i’l-Fıkhiyye. Kahire: Dârü'l-Harir li't-Tıbaa, 1993. Hamevî, Ahmed b. Muhammed. Gamzu Uyûni’l-Basâir: Şerhu Kitâbi’l-Eşbâh ve’n-Nezâir. Beyrut: Dârü’l-Kütübi’l-İlmiyye, 1985. Hakan Çavuşoğlu-Hüseyin Esen. İstanbul: İz Yayıncılık, 1999. İbn Abdüşşekür. Müsellemüs’Subût, Fevatihu’r-Rahamût ile beraber, zabt. Abdullah Mahmud Muhammed Ömer. Beyrut: Daru’l-Kütübi’l-İlmiyye, 2002. İbn Berhân, Ebü’l-Feth. el-Vüsûl ile’l-Usûl, thk. Abdülhamîd Ali Ebû Züneyd. Riyad: Mektebtü’l-Mearif, 1984. İbn Hacib, Cemalüddin. Muhtasaru Münteha’s-Sûl ve’l-Emel fî İlmiyyi’l-Usûl ve’l-Cedel, thk. Nezir Hamadu. Beyrut: Daru İbn Hazm, 2006. İbn Hacib, Cemalüddin. Muhtasar’i-bni’l-Hacib, Ref’u’l-Hacib ile birlikte, thk. Ali Muhammed Muavviz, Adil Ahmed Abdülmevcud. Beyrut: Âlemü’l-Kütüb, 1999. İbn Hazm, Ebu Muhammed. el-İhkâm fî Usûli’l-Ahkam, thk. Ahmed Muhammed Şakir. Beyrut: el-Afakü’l-Cedide, 1983. İbn Hümam, Kemalüddin. Kitabü’t-Tahrir, Teysir’u-Tahrir ile birlikte. Mısır: Matbaatü Mustafa el-Babî el-Halebî, 1351. İbn Kudâme, Muvafikuddin. Ravzatü’n-Nâzır ve Cünnetü’l-Munâzir. Nüzhetü’l-Hatır ile birlikte Riyad: Mektebetü’l-Meârif, 1984. İbn Manzur, Cemalüddin. Lisanü’l-Arab. Beyrut: 2000. İbn Nüceym, Zeynü’l-Abidin. el-Eşbah ve’n-Nezâir. Gamzu Uyûnî’l-Besâir ile birlikte. Beyrut: Dârü’l-Kütübi’l-İlmiyye, Beyrut 1985. İbn Rüşd, Ebü’l-Velîd. ez-Zarurî fî Usûli’l-Fıķh ev Muhtasaru’l-Mustasfa, thk. Cemalüddin el-Ulvî. Beyrut: Daru’l-Ğarbi’l-İslamî, 1994. İsnevî, Cemalüddin. Nihayetü's-Sû’l fî Şerhi Minhaci'l-Vusûl. Süllemü’l-Vusul ile birlikte. Kahire: Âlemü'l-Kütüb, 1343. Kacır, Temel. “Hanefi Usulcülerinden Kadı Ebû Zeyd Debûsî’nin Kıyas Nazariyesi (Takvimü’l-Edille Adlı Eseri Çerçevesinde)” Yüksek lisans tezi, Gazi Üniversitesi, Ankara 2007. Karadaş, Cağfer. “Yakin ve İtikad”, Uludağ Üniversitesi İlahiyat Fakültesi Dergisi, 10, sy, 1 (2001): 113-126. Kadar). İzmir: Işık Akademi Yayınları, 2010. Kurtubî, Ebu Abdillah Muhammed. el-Camiu’ li Ahkâmi’l-Kur’an. Riyad: Daru Alemi’l-Kütüb, 2003. Lâmişî, Ebü's-Sena Mahmûd. Kitâb fî Usûli'l-Fıkh, thk. Abdülmecid Türkî. Beyrut: Dârü'l-Garbi'l-İslâmî, 1995. Leknevî, Abdülalî Muhammed. Fevatihü’r-Rahamût bi Şerhi Müsellemi’s-Sübût, zabt ve tash. Abdullah Mahmûd Muhammed Ömer. Beyrut: Dârü’l-Kütübi’l-İlmiyye, 2002. Makarrî, Ahmed. el-Kavaîd. thk. Ahmed b. Abdullah. Mekke: Merkezü İhyai’t-Türasi’l-İslamî, ts. Mennun, İsa. Nibrasü’l-Ukûl fî Tahkiki’l-Kıyas inde Ulemâi’l-Usûl. Matbaatü’z-Tezamüni’l-Ehva. Kahire: Matbaatü’z-Tezamüni’l-Ehva, 1345. Nemle, Abdülkerim. el-Mühezzeb fî İlmi Usûli’l-Fıkhi’l-Mukaren: Tahrir li-Mesailihi ve Dirasetiha Dirase Nazariyye Tatbikiyye. Riyad: Mektebetü’r-Rüşd, 1999. Nesefî, Ebu’l-Berekat. Keşfu’l-Esrar, Nuru'l-Envar ve Kamerü'l-Akmar'la birlikte. İstanbul: İhsan Kitabevi, 1986. Nevevî, Ebû Zekeriyya Muhyiddin. el-Mecmu‘ Şerhu’l-Mühezzeb, thk. Muhammed Bahît el’Mutî. Cidde: Mektebetü’l-İrşad, ts. Pezdevî, Ebü’l-Usr. Usûli’l-Pezdevî, Keşfü’l-Esrar ile birlikte. Beyrut: Daru’l-Kütübi’l-İlmiyye, 1994. Razî, Fahreddin. el-Mahsul fi İlmi’l-Usûl, thk. Taha Cabir Feyyaz el-Alvanî. Beyrut: Müessesetü’r-Risale, 1997. Sadrüşşerîa, Ubeydullāh b. Mes‘ûd. et-Tavzîh, Şerhü't-Telvih ale't-Tavzih ile birlikte, Beyrut: Dârü'l-Kütübi'l-İlmiyye, 1957. Salih, Muhammed Edip. Tefsirü’n-Nusûs fi’l-Fıkhi’l-İslâmî. Beyrut: el-Mektebetü’l-İslamiyye, 1993. Schacht, Joseph. İslam Hukukuna Giriş, trc. Mehmet Dağ-Abdülkadir Şener. Ankara: Ankara Üniversitesi Basım Evi, 1997. Serahsî, Ebu Bekr. Usulü’s-Serahsî, thk. Ebu’l-Vefa el-Efğanî, Beyrut: Daru’l-Kütübi’l-İlmiyye, 1993. Sem‘ânî, Ebû’l-Muzaffer Mansur. Kavâdıu’l-Edille fi’l-Usûl, thk. Muhammed Hasan İsmail eş-Şafiî, Beyrut: Daru’l-Kütübi’l-İlmiyye, 1997. Seyıd Bey. Medhal. İstanbul: Matbaa Amiriyye, 1333. Sübkî, Taceddin. Ref’u’l-Hacib an Muhtasar’i-bni’l-Hacib, thk. Ali Muhammed Muavviz, Adil Ahmed Abdülmevcud. Beyrut: Âlemü’l-Kütüb, 1999. Şaban, Zekiyyüddin. Usûlu’l-Fıkhı’l-İslâmî. yy: ts. Şafiî, Muhammed İdris. er-Risale, thk. Ahmed Muhammed Şakir. Beyrut: Darü’l-Kütübi’l-İlmiyye, ts. Şelebî, Mustafa. Usûlü’l-Fıkhi’l-İslamî. 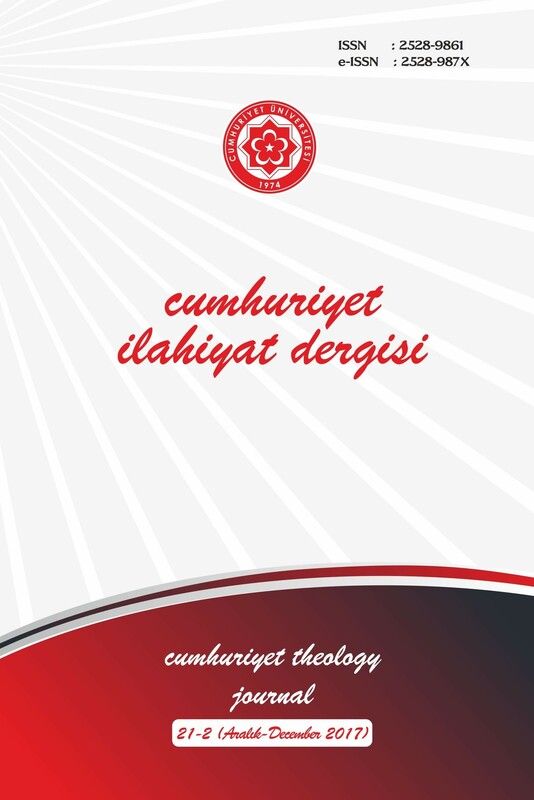 Beyrut: ed-Darü’l-Cami‘ıyye, ts. Şevkanî, Ebu Abdullah Muhammed. İrşadü’l-Fuhûl ila Tahkîki’l-Hak min İlmi’l-Usûl, thk. Ebu Hafs Sami b. el-Arabî. Riyad: Daru’l-Fazile, 2000. Şirâzî, Ebû İshak Cemaleddin. Şerhu'l-Lüma', thk. Abdülmecid Türkî. Beyrut: Dârü'l-Garbi'l-İslâmî, 1988. Teftazanî, Sa'deddin Mesud b. Ömer. Şerhü't-Telvih ale't-Tavzîh. Beyrut: Dârü'l-Kütübi'l-İlmiyye, 1957. Tahânevî, Muhammed b. A'la. Mevsuâtu Keşşâfı Istılahati'l-Fünûn ve'l-Ulûm, thk. Ali Dahruc; çev. Corc Zeynatî, Abdullah Halidî. Beyrut: Mektebetu Lübnan, 1996. Zerkâ, Ahmed. Şerhü'l-Kavâ'idi'l-Fıkhiyye. Beyrut: Dârü'l-Garbi'l-İslâmî, 1983. Zerkeşî, Bedrüddin. el-Bahrü’l-Muhît fi Usûli’l-Fıkh. Ğardek: Daru’s-Safve, 1992. Züheyr, Muhammed Ebu'n-Nur. Usûlü’l-Fıkh. Kahire: el-Mektebetü’l-Ezheriyyetü li’t-Türas, 2004.